We provide Professional & Affordable service for your projects. Ongoing maintenance of mechanical & electrical plant item in fundamental to meet occupiers and owners legal responsibilities. Alliance Ireland were appointed as the main contractor for the conservation, repair and restoration works to Penneys which is a Protected Structure situated at 45-47 Mary Street Dublin 1. 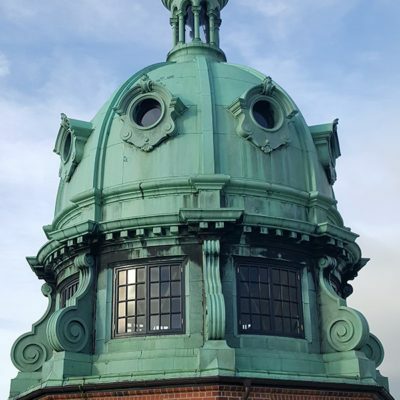 This refurbishment project involved the repair and replacement of windows within the dome structure, the repointing of the brickwork, repair and replacement of windows to the facades of the number 46 & 47 and the repairs and replacement of the lead work to the roof gutters, valley’s and parapets. Alliance Ireland provide a highly qualified team of expert builders, plumbers electricians and painter & decorators to deliver the highest standards in commercial and domestic property maintenance services. We also deliver state of the art Insulation and Building Maintenance services tailored to our clients exact requirements. Our Fast Action Response Call Centre is standing by to take your call. Not only do we provide great customer service 365 days of the year we also understand that you want to work with a reputable company. Alliance Ireland has carried out several projects within our Hospital over the past 6 months. As a Hospital we have very sensitive areas, strict infection control standards and quality control systems. Alliance Ireland have proved to be exemplary in their project management and conducted their work in line with all our infection control, health and safety requirements. We have found their work teams to be professional, punctual and organized. They were very proactive in identifying cost saving measures for the Hospital and the quality and finish of their work was found to be excellent. I have no hesitation in recommending Alliance Ireland. Penneys have availed of the services of Alliance Ireland. In this period Mr Richard Sutton has proved his company to be competent, reliable, flexible and fair. In the main Alliance Ireland have carried out reactive and corrective maintenance to some 20 stores in the Leinster region but have also undertaken small project works to a value of €100,000. Mr Sutton’s personal and pro-active involvement in the management of such projects has ensured their completion within programmes and budget. I would have no hesitation in recommending this contractor or any similar work. The Spanish Embassy in Dublin has been using the services of Alliance Ireland for many years. We have always found the quality of their work to be of the highest standard and at a very competitive price. It has been a pleasure dealing with them, since their efficiency and professionalism is outstanding. We would have no hesitation whatsoever in recommending them for any building work, renovations or similar work of that nature. Alliance Ireland has been contracted by the School of Celtic Studies of the Dublin Institute for Advanced Studies to carry out a range of maintenance work on our behalf for approximately six years to date. Their work with us ranges from engineering, plumbing, carpentry, electrical to consultancy work on various projects. During this time we have found their work to be of the highest possible standard. Their staff is efficient, courteous, and friendly and pays attention to detail at all times. They carry out their tasks to our satisfaction with the least disturbance possible which is of utmost importance to us as we work in an academic environment. I would have no hesitation in recommending Alliance Ireland in the belief that the quality of their work would be to a very high standard. This is to confirm that Alliance Ireland have carried out various maintenances and refurbishment work for the Merrion Hotel. Merrion Hotel is known for its high standard, this standard has to be maintained at all times. Alliance Ireland have provided a quality service for the Hotel and carried out this work in a very professional manner. I would have no problem in recommending Alliance Ireland for similar work. The Doyles Centra group have been usingAlliance Ireland for over one year now. After speculatively handing in a promotion brochure (at a time when we were changing building maintenance contractors), Alliance were drafted in to take over all our maintenance projects. They have tackled every job with enthusiasm, commitment and absolutes professionalism. All of which have been completed on time and with results exceeding our expectations. I have no hesitation in recommendingAlliance Ireland to any company. The Alliance work ethic is superb and their workers are friendly, trustworthy and very efficient.